It felt great getting out of work and find out it's still bright outside! Spring feels actually close now. 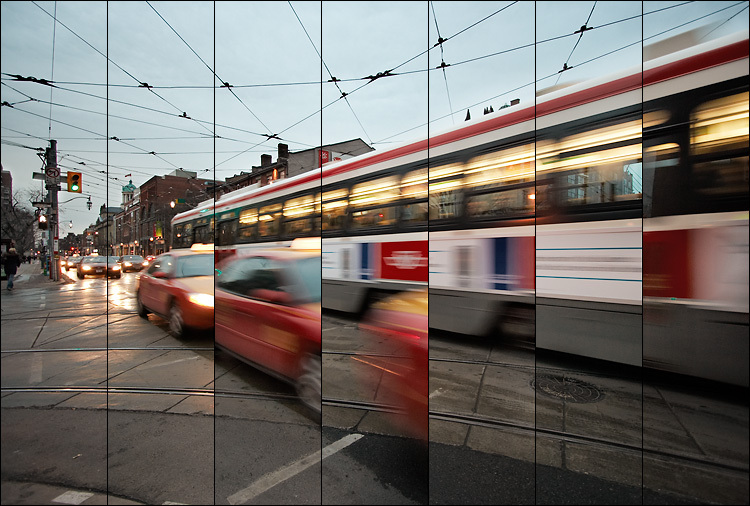 This is made out of 7 photos shot with camera resting on a newspaper box on the corner of King and Church. You need flash player to see the interactive version of the image above.